Cloud secure spatial database allow the fastest data retrieval and analysis. Let your data be with with you anywhere. Visualize your data on our basemap and you have effective overview. 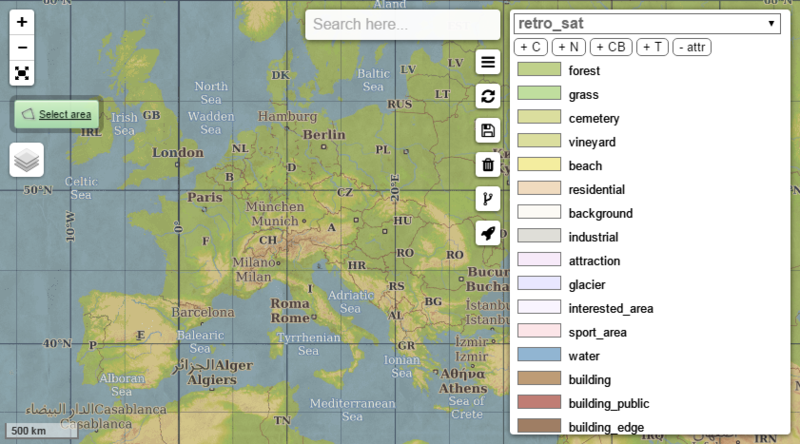 Choose from plenty map styles right for your purpose. 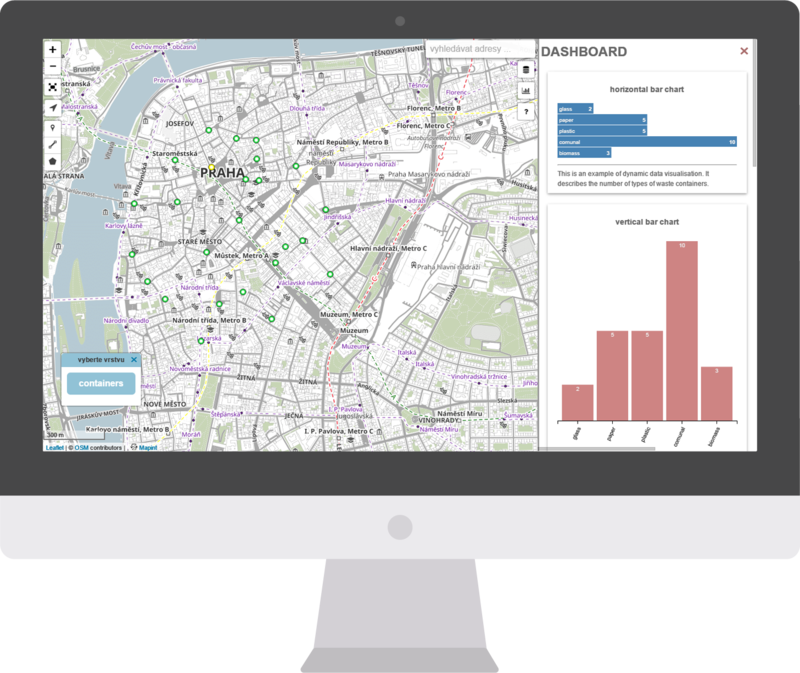 Find and analyse your data on the fly. Do you prefer table view or chart view? Use our clear visualization to improve your work. need data always be with you? want a current overview anytime? like on the fly data analysis? That's why we are here! 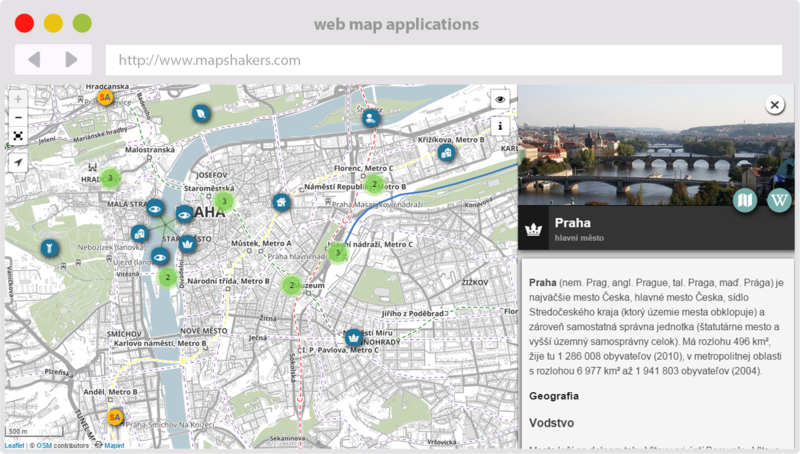 We create web map applications exactly for you! We offer several basemap styles. Each is suitable for different purpose. For example if you are interested in road network, the best style for you is one with significant roads. And if you are tourist you should choose basemap with hillshading and contours. Our basemaps are retina ready so you can enjoy high resolution maps and plans. And of course our basemap is also suitable for print media. Didn't you find any suitable style for you? For our clients we provide simple application map styler, which is so easy to create the map exactly as you like it! Looking for modern retina map symbols? Are you web developer or cartographer? We create mapkeyicons for you! Visit mapkeyicons.com , download mapkeyicons package and use CSS toolkit for simply usage or download svg or png images. Everything for free! Mapkeyincons are distributed under public domain. Stay tuned! We are preparing symbol set, that you can use in your favourite map editor! We will soon provide symbol set for ArcMap and QGIS. We provide plenty GIS data for free! There are mainly based on OpenStreetMap database. In download section you can choose from vector or raster data. 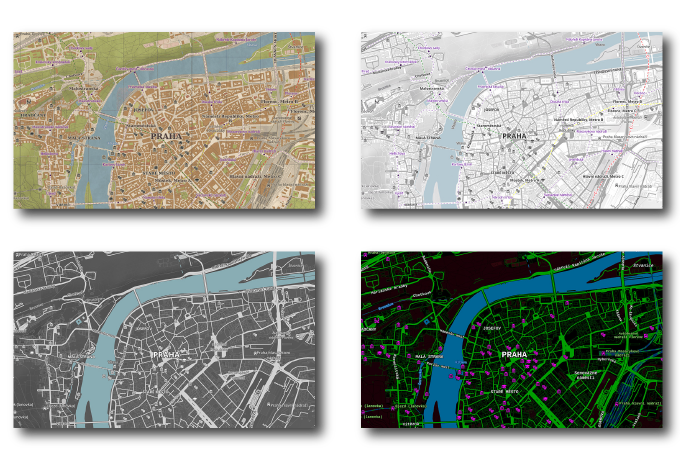 We offer rendered geotiff maps and city plans in varying scales and places! Download it and use it for free! 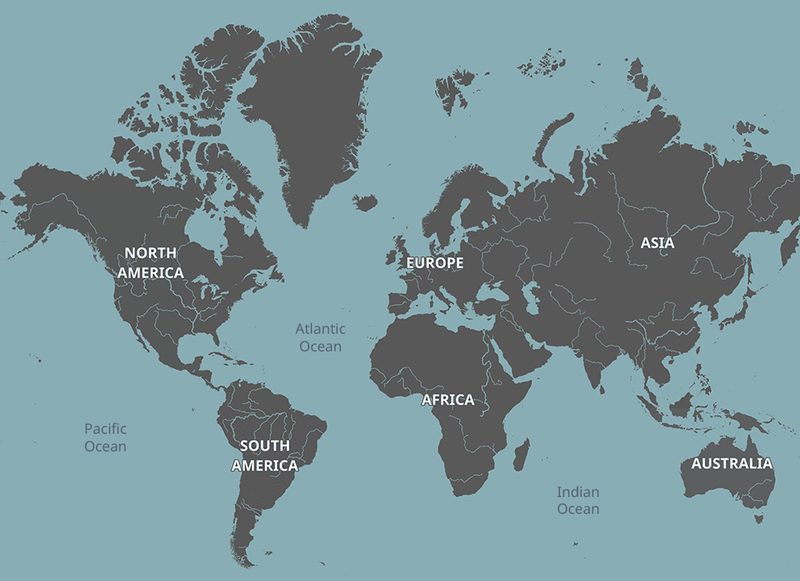 Maps are rendered in web mercator (epsg:3857) projection in geotiff format with georeferencing. Ready to be used in your GIS application as basemap. Need help with your GIS project? Don't hesitate to contact us! We are GIS guys with years of experience! 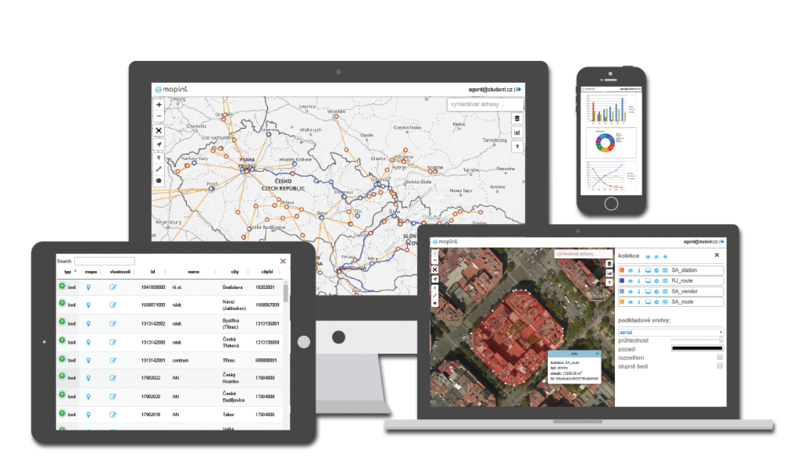 We can share knowledge about GIS servers, spatial databases, designing maps, creating webmaps and GIS analysis. We contribute to open-source projects. Check out our github profile. We are also contributors to awesome global mapping project OpenStreetMap! 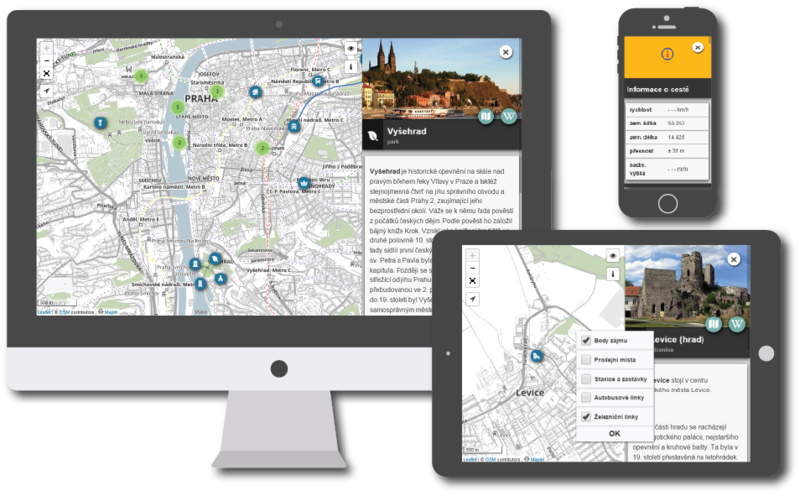 We are group of map enthusiasts, who improve usability of map applications. Our work is our passion. We are interested in these three words: simplicity, security and good design. We are ready to materialize your ideas!